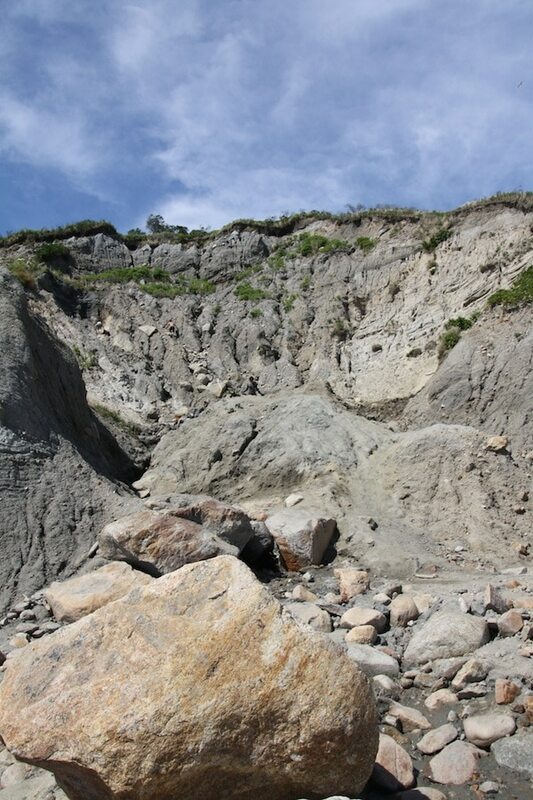 The Mohegan Bluffs on Block Island was probably one of my favorite places to visit while on my Block Island Vacation. 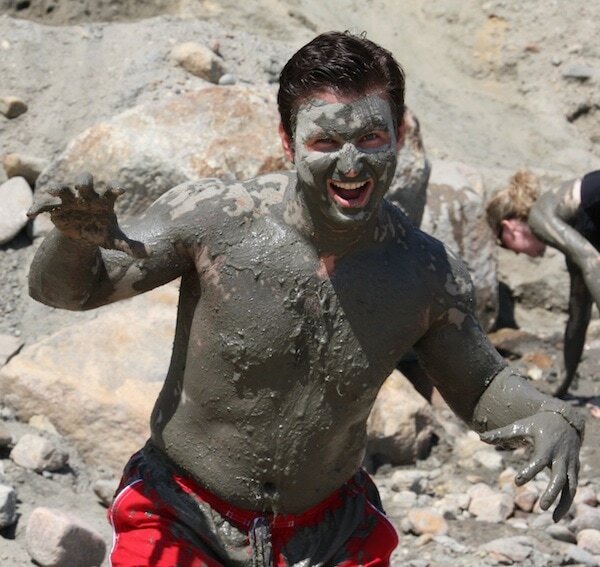 I mean, I enjoyed the food and the peace and the quiet and the company… but nothing beat that mud! 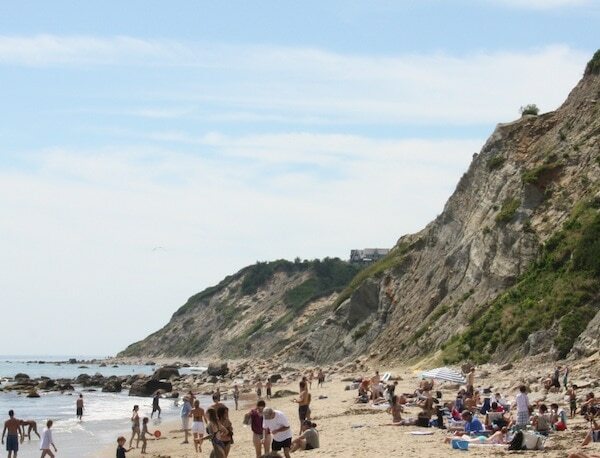 I NEVER experienced anything like it before and I am always up for something unique and the Mohegan Bluffs on Block Island is certainly THAT and more. Listen, I’m all about really experiencing the culture of the area I visit. If there is something the town / country is known for – I’m in! When I went to Maine, I ordered lobster (even though I’m not really a fan). When I went to France… you know I ate snails (gagging the entire time). But I DO IT because I really want to submerge myself in what the locals do. 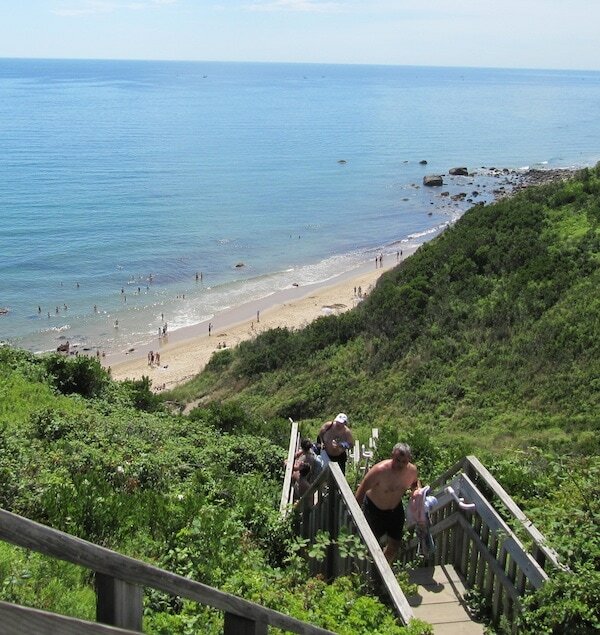 Well when you visit Block Island, you have to hit up the Mohegan Bluffs. I’m warning you right now… it’s quite a walk down to the beach. If I want to put a positive spin on it all, I guess I can tell you that the walk is supposed to be part of the fun. I’m saying that with a smile… a forced smile. I wore sneakers. Say no more. 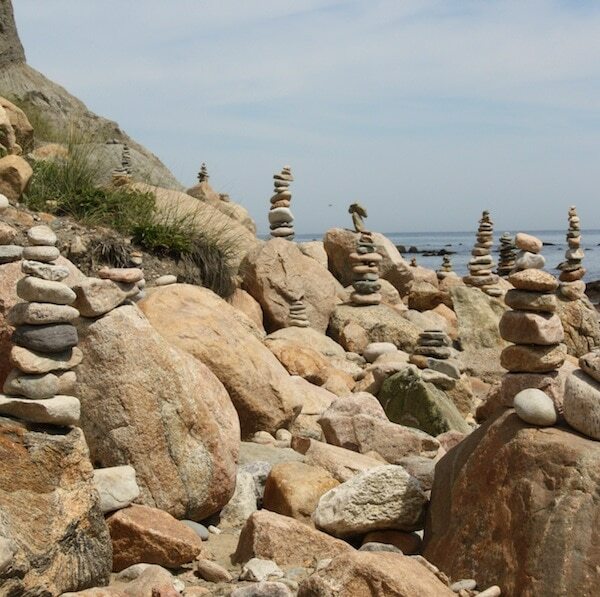 Not only do you have to actually walk down a few dozen steps to get to the Mohegan Bluffs, but then you have to make your way down these rock piles. My knee has been acting up the last few weeks, so I was super nervous. Thankfully, Bill took most of my weight and there was no bloodshed. So, here’s a tip – bring sneakers to get to the beach. It was one of the more crowded beaches we visited, but with good reason. I was actually surprised to see so many people in one place. For the most part, Block Island was pretty empty. But this area was dense like Jones Beach… ok, that’s an exaggeration. But still, it didn’t look like what I thought Mohegan Bluffs was going to look like – especially after walking down the steps of doom. When we first got there, we jumped right in the (Freezing) water! It took a while to get used to – but it was fun once we warmed up! Then we started noticing these blue people. Everywhere. I knew I wasn’t hallucinating because the rest of the group saw it too. 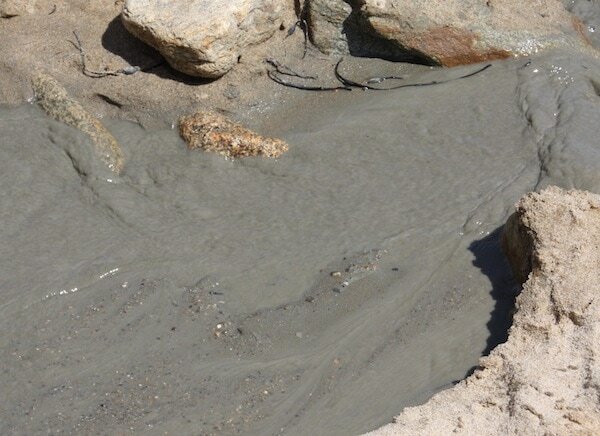 We asked someone what it was and it turned out to be dried clay from a mountain ledge to the left of the beach. Off we went. It doesn’t look too daunting right? I suppose it wasn’t. In the moment, I thought I was competing in a tough mudder. I thought there was going to be a medal at the top of the fictitious ramp. I thought there was going to be confetti as soon as I hit the clay spot… But it was literally just me and the voices inside my head telling me I was Wonder Woman reborn. Basically, if you want to get some of the magical (not really magical) clay, you have to do a bit of climbing. Once you get to the top of that middle rock, you will gain access to the fountain of youth… I mean clay. Ok, so this is the clay. And I don’t want you to think about what punk teenagers could potentially be doing in that clay because they know tourists are all coming over and slathering it all over their bodies. Release all those inner demons and just stay in your vacation mindset and enjoy the moment. And be like me, slather the mud all over your body and then let it air dry until it hardens like your soul. It’s super cool! I really did love every single second of this day. I am SO INTO this sort of thing. 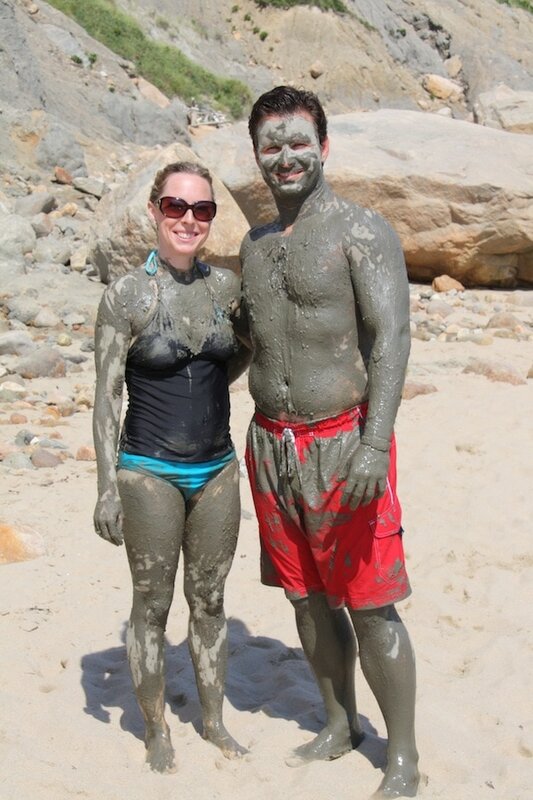 If I tried to get a clay treatment in a spa, it would have ran me around $200 or so. 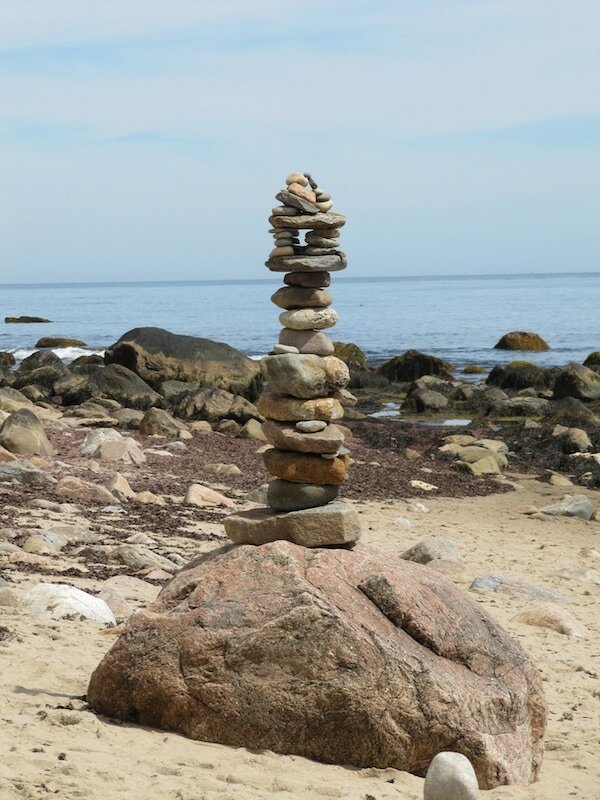 But at Mohegan Bluffs, it was FREE, Yahoo! And we took pictures and had a ton of laughs! We will never forget this little trip – it was a day for the records. The men weren’t afraid to put the mud all over their faces. I mean the clay. The women, steered clear because it is FREAKING MUD FROM THE GROUND WHAT ARE YOU THINKING? But like I said, let go of all that crazy talk and just enjoy it!!! Look at my friend, Dave!! He cracks me up. 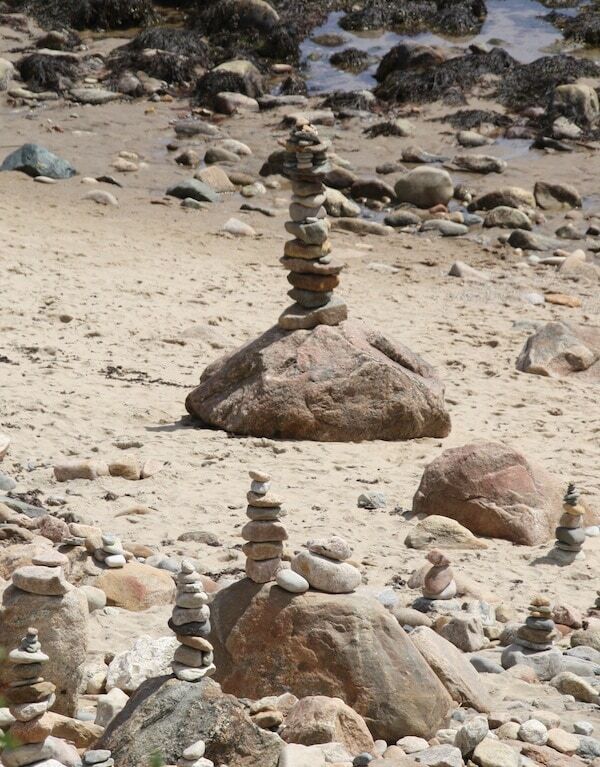 Naturally, after we climbed down, my friend Tracy and I made our own little rock pile to commemorate the day. It wasn’t very high – but that’s not the point. It was ours! Here’s our baby. 🙂 Isn’t she beautiful? 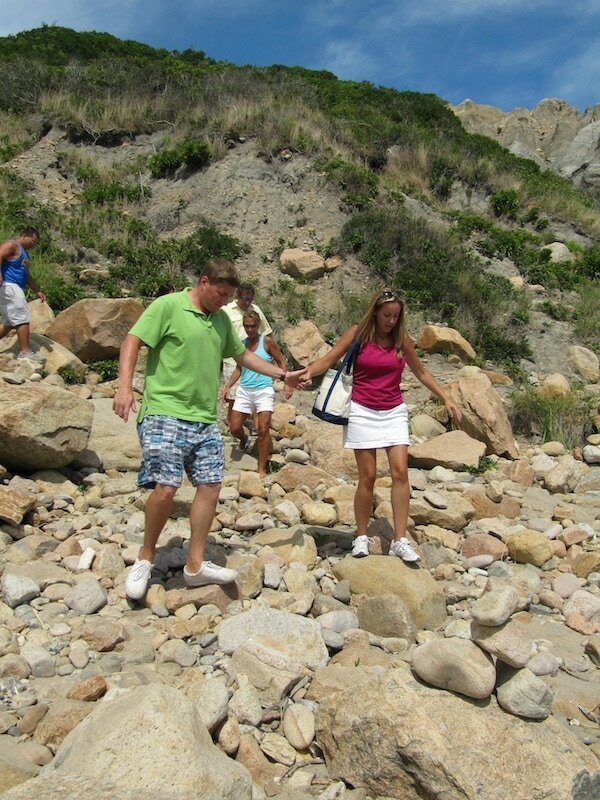 Do you want to visit Block Island? 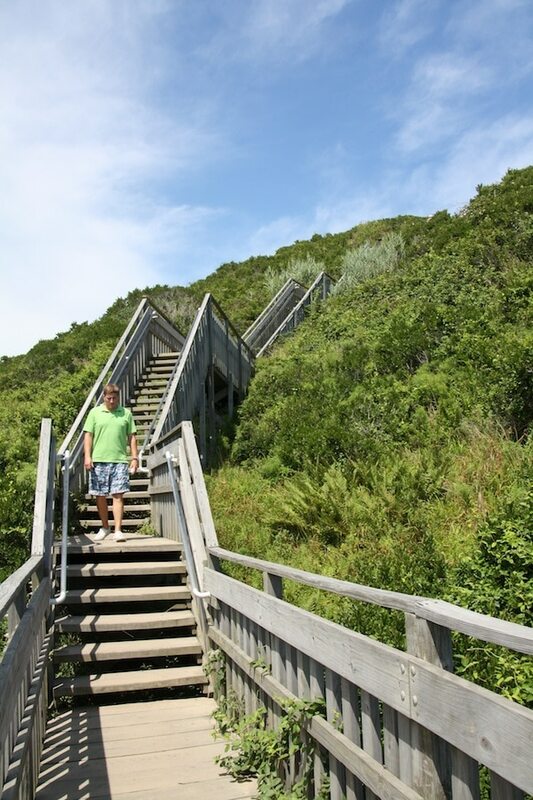 If so – be SURE TO PUT the Mohegan Bluffs ON YOUR LIST. Here’s a dinky map so you get an idea of where you are supposed to go. 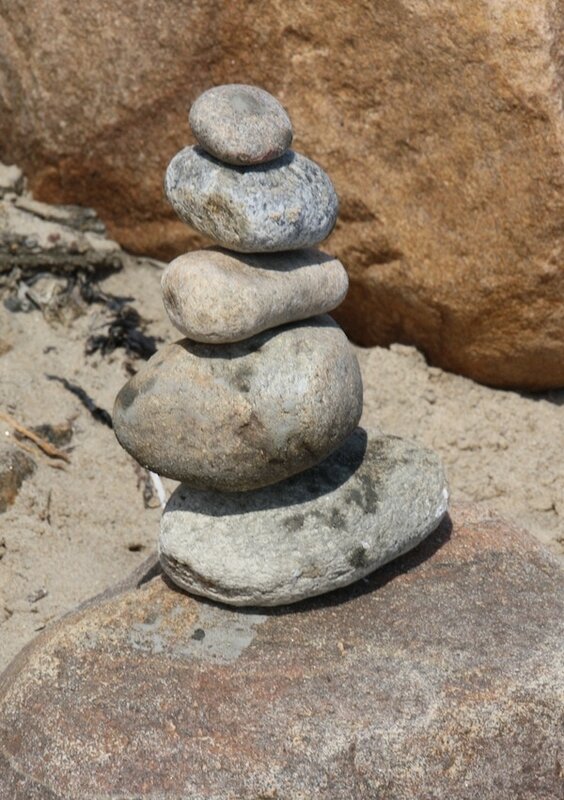 If you want to read more about my anniversary trip, here’s a full recap of our Block Island Vacation stay. Want other travel advice? Check out my Travel section!! Previous Post: « Stop And Shop Weekly Savings: Got All Of This For $17! That is the coolest thing ever. I want to start my own travel blog, you keep inspiring me, I need to get started! love love the Bluffs…read the other post 1st and wondered if you missed them…Glad to see you didn’t and that you had such a blast. BI really is a magical place! It was my favorite part of the trip!! !